Try having a conversation about the rave scene, breakbeat culture or Jungle/D&B and not mention the name Randall. Impossible. The DJs DJ, most if not all in the industry will claim Randall as one of their major inspirations. The truth is, Randall IS Drum & Bass. Nearly 25 years in the game and his selection is as impeccable as ever, still mixing as faultlessly on two turntables as he ever did. Aside from his live performances Randall has been commissioned by Mixmag, Drum & Bass Arena, Dreamscape, Ministry of Sound/AWOL and many others for studio mixes. With his fluid style and a career that has taken him all over the globe from the UK throughout Europe, USA, Canada, Australia, New Zealand & Asia. Randall’s ability to move with the times and reflect what is going on around him has ensured that his talents continue to be heavily in demand today. 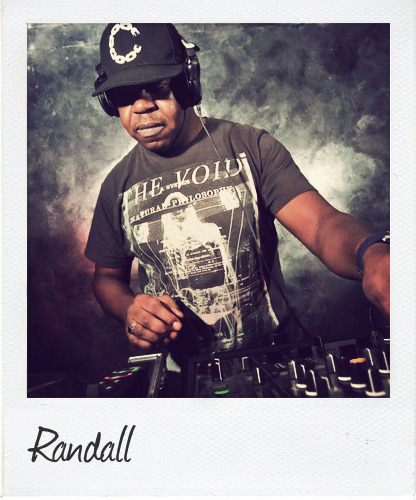 A term all too loosely bandied about, after 25 years at the top, Randall is the true definition of a legendary DJ, loved by the public & the industry alike!